One of the most cosmopolitan islands of Greece, Corfu is located on the northern side of the Ionian Sea. It charms visitors with the Venetian style, the lovely beaches and the relaxing feeling. Corfu Town charms visitors at first sight with the Venetian style that reminds very much of Italian towns, like Venice and Florence. Many beautiful beaches are found around the island, such as Paleokastritsa, Agios Gordis, Nissaki and others. Corfu holidays can be a great experience for families, couples or group of friends, as it has something special for everyone. Have a look on our travel guide about Corfu island and see all the useful information to plan your holidays. We have created lists with the most beautiful beaches, villages, museums and sights to visit. Also see our photos, 360 pictures, videos and maps to get a better understanding of the location. Organize your holidays in Corfu using our travel services: see the hotels we suggest, book ferry tickets, make a car rental to explore the island, book a tour, arrange your transfer and check our island hopping packages. If you do not have time to get into all these details, ask us to organize your vacations. Corfu Greece gives countless options for accommodation. Corfu Town has a wide variety of luxury hotels, boutique apartments, and suites, often in restored old mansions. Many accommodations are also found in the coastal areas of the island. Villages close to the Town, like Gouvia, Dassia, Benitses, Perama and Ipsos, have many hotels and studios on the beach. On the northern side of Corfu island, Acharavi, Roda, Sidari, Paleokastritsa, Agios Stefanos West and Agios Stefanos in Kassiopi have most hotels and studios. The southern side remains less developed. Very busy is the region of Kavos, which is particularly popular with younger visitors. Agios Gordis, Ermones, Glyfada and Agios Georgios South also have nice studios on the beach. Generally accommodation ranges from luxurious villas and spa resorts to traditional studios and guesthouses. The island of Corfu, in Greece, is one of the Greek islands of the Ionian Sea and it belongs to the Ionian islands group. A place with long history and rich tradition, Corfu island, also known as Kerkyra, has many wonderful sights. Many conquerors arrived on the island through centuries, including British and Italians, leaving an evident mark on the local culture. The first governor of modern Greece, Ioannis Kapodistrias, also originated from Corfu. The Old Town is a gem for sightseeing, with the two Venetian fortresses, the interesting museums, Spianada Square and Liston Street, the wonderful paved street that is a copy of Rue de Rivoli in Paris. In a street beside Liston, there is the church of Agios Spyridon, protector of the island. Very interesting are also the Jewish quarters. On a hill above the town, there is the spot Kanoni with wonderful view to the small church of Vlacherna and the famous Mouse Island. Apart from the sights in Town, very interesting places to visit during your Corfu holidays are also the Medieval Castles and monasteries in the inland, such as the Monastery of Paleokastritsa and Angelokastro. These villages are surrounded by verdant vegetation and wonderful beaches can be found all around the coast, lined up with beach hotels and restaurants. 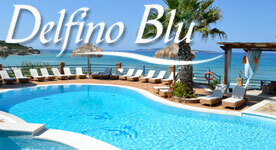 This guide of Corfu island offers all useful information about your trip there. Holidays in Corfu can be combined with visits to other Greek islands, including Kefalonia, Lefkada and Zakynthos. With an intense Medieval style, Corfu Old Town is among the most picturesque places in Greece. Walk along the narrow streets until you reach the wonderful Liston Avenue and Spianada Square. Paleokastritsa is a lovely bay with blue green waters and surrounded by lush greenery. Although it gets busy in high season, it has many coves to enjoy a day at the sun. Kanoni is the most famous spot of Corfu Town. From the hill of Kanoni visitors get a wonderful view of Mouse island and the small church of Panagia Vlacherna. The old fortress of the Town is located only few steps from Spianada Square. It has nice sights to explore inside the walls and gives great view to the Ionian Sea. Located on the western side of this Ionian island, Agios Gordis is a large sandy beach with amazing waters. It is lined up with many beach accommodations and taverns. A short walk from the centre of Sidari, in the northern side of the island, is the famous Canal d' Amour, also known as the Channel of Love. This is a lovely place with wild rock formations. Achilion Palace, also known as the Palace of Sissy, is a true gem in the centre of the island. It was constructed in the late 19th century by the Empress of Austria Elisabeth. The church of Saint Spyridon is considered the protector of the island. It is found in the Old Town, just few steps from Liston Avenue. Its bell tower is the tallest from all churches of the town. Located in the centre of the island, the Aqualand of Corfu is among the largest aqua parks in Europe. This is a great day trip for families with kids and companies. Located on the north eastern side, the seaside village of Kassiopi is surrounded by lush greenery and lovely beaches. At the port of Kassiopi you will find delicious taverns. Corfu is a wonderful island to take diving courses and go on diving trips. Particularly the north eastern side of the island is very popular among divers. In summer day cruises depart from the old port of the Town to the wonderful islands of Paxi and Antipaxos. These two islands are famous for their exotic waters. Book this day cruise to the beautiful town of Parga and the fantastic island of Paxi. The cruise departs from the port of Corfu Town and gives the chance to swim in stunning waters. Book this 9 days holiday package from Athens and explore the stunning islands of Corfu and Kefalonia, in the Ionian Sea, two of the top beach holiday destinations in Greece.